Housing Security officers conduct walkthroughs of Martha Cook on a daily basis so you will get to know the officers. To keep the community safe, never leave a door propped open. Additionally, please lock your room doors when you leave your room. 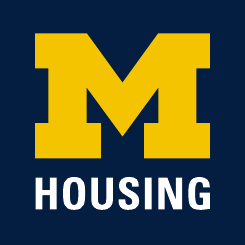 Residents are encouraged to contact Housing Security if they notice any suspicious activity. They can be reached by calling 734-763-1131. The outside front doors are always locked so carry your M-Card for access to the building at all times. Please use only the front door for entrance and exit.